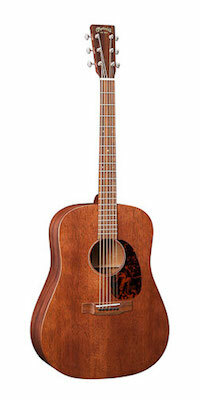 The Martin D-15M is a 14-fret Dreadnought in the 15 Series of all-solid wood guitars featuring Mahogany construction for the back, sides, neck, and top. The Martin D-15M model continues the Martin tradition with solid, all-mahogany construction and a rich satin finish. Satisfy your desire with an affordable solid wood guitar that is visually distinctive and innovative.